Perfectly combining compassionate and professional care. 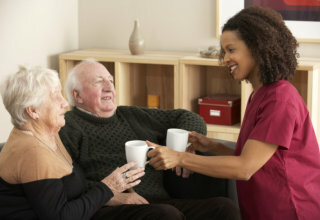 Qwest Home Health Care Agency is committed to providing quality home care and excellent service. We strive to provide innovative, positive and professional care. We seek to be the client’s first choice. We will succeed by treating our clients and employees as we personally like to be treated. We will achieve success while promoting an atmosphere of mutual trust, honesty and integrity. Our company is locally owned and operated. To facilitate our client’s well-being and comfort, we design our services according to their needs. Providing high standard care in the client’s home where he or she feels most comfortable is what we strive to do. We see to it that we help you and your loved ones maintain optimum health while treating you like family.